As the oldest of six siblings, Arnesia had more responsibility than most kids and a lot of pressure from her family to succeed. 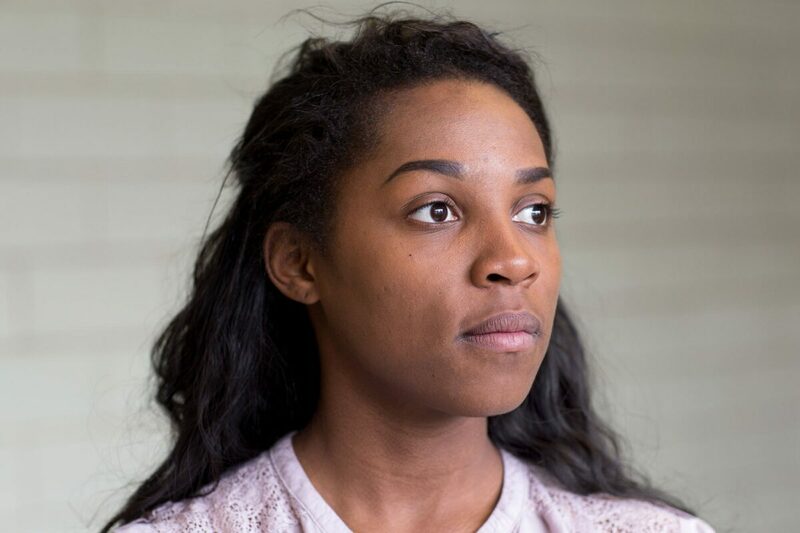 Her father was incarcerated for most of her adolescence and her mother frequently moved her family around Chicago’s South Side in search of a better place for her children. "As the oldest of six siblings, Arnesia had more responsibility than most kids and a lot of pressure from her family to succeed." Struggling for safety is a fact of life for many families in South Side neighborhoods, including Greater Grand Crossing where Arnesia’s family lives. According to the Chicago Tribune, 26% households in the neighborhood are below poverty level and there is nearly one violent crime per 500 people each month, which is more than twice the city’s average. Through it all, Arnesia managed to stay emotionally close to her family and keep her focus on college. She believes succeeding, “takes knowing that there’s a lot of uncertainty in life. Knowing that you are going to go through things and it’s not really a perfect world.” Arnesia pairs this acceptance with tenacity and curiosity—a character strength she sees as paramount to personal development and attainment. Arnesia's own journey of discovery was aided when Gary Comer Youth Center opened in 2006. She was living in the Greater Grand Crossing neighborhood and started visiting the center. “It was fun to have something to do and someplace to go in the neighborhood,” she said. “It was a place that was very communal and friendly.” The center provided new opportunities, which for Arnesia included a writing job through Medill Media Teens, a partnership between the youth center and Northwestern University’s Medill School of Journalism. Her involvement at the youth center was a natural precursor to enrolling in Gary Comer College Prep, which was where Arnesia got serious about academics. "I didn’t think about going to college until I went to Gary Comer and then ever since freshman year it was all about college." It was a time of growth for Arnesia and the high school, which opened in the youth center in 2008 and quickly moved to a brand new state-of-the-art facility with a full teaching staff. Arnesia found a career path by assisting in Alderman Leslie A. Hairston’s office and exploring leadership as president of her school’s student council and National Honors Society chapter. "All through high school I loved going to my political and government classes. I just loved learning about law and the constitution. Then I became more involved in student government and those passions and desires spilled over into college. I decided to become a political science major because it represented my long-term goals for my career."